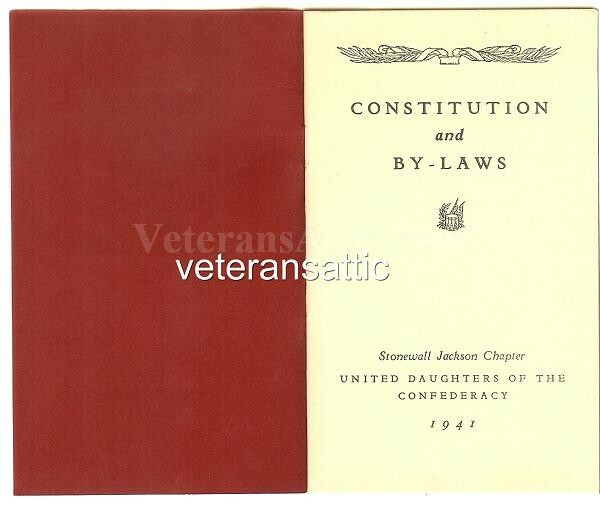 A nice copy of the 1941 printing of the Stonewall Jackson Chapter, UDC, constitution. The book is approximately 5 3/4 inches by 3 1/2 inches. There are eight pages in the pamphlet. 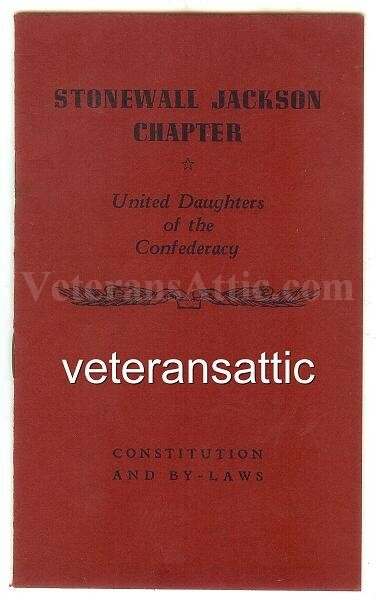 The constitution is printed by a Richmond, Virginia printer as noted on the back cover.